This guide is about the writing of riveting novels, short stories, articles, essays, blogs, and other non-fiction genres. 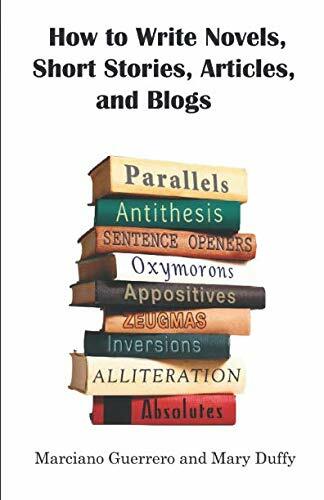 Our method of writing isn’t found in any of the traditional textbooks written by theorists, scholars, successful and unsuccessful editors and writers, as well as writers’ workshops, and writers’ conferences.So, don’t—for a minute—expect a “How to” traditional guide to writing prose. You won’t find the quaint ideas and easy classes that theorists have compiled over the years: voice, dialogue, setting, theme, genre, plot, climax, dénouement, character, motivation, flashbacks, the point of view, essays, précis (summaries), etc.Nor will you find grammar and syntax rules or a treatise in style. Instead, you will find in this work a clear method that teaches how to write fast-paced prose.